All you need is two polishes and a dotting tool! The minimalist, monochromatic style has grown in popularity over recent years. But if you don't feel like converting your entire closet into a sea of black, greys and white, sport this look on your nails instead. This nail art design is extremely easy and can be modified to suit your personal style. To create this design, all you will need is two polishes and a dotting tool (the end of a paintbrush or a toothpick work as well). To begin, apply two coats of your base colour and allow to dry for five to 10 minutes. Once dry, place some of your second polish on a piece of aluminium foil, and then dab your dotting tool into the polish. Using aluminium foil is the best way to get perfect dots, as you are able to evenly disperse the polish around the dotting tool. Create two dots at the base of the nail relatively close to one another. Allow to dry for about 10 minutes before applying top coat. A good alternative to the dots is using nail art studs instead. Studs can be applied once the base colour is somewhat dry, and then top coat is applied over top of them. Studs add a little more edge and interest to the look. Kaitlyn Delano is a beauty blogger based in Toronto. 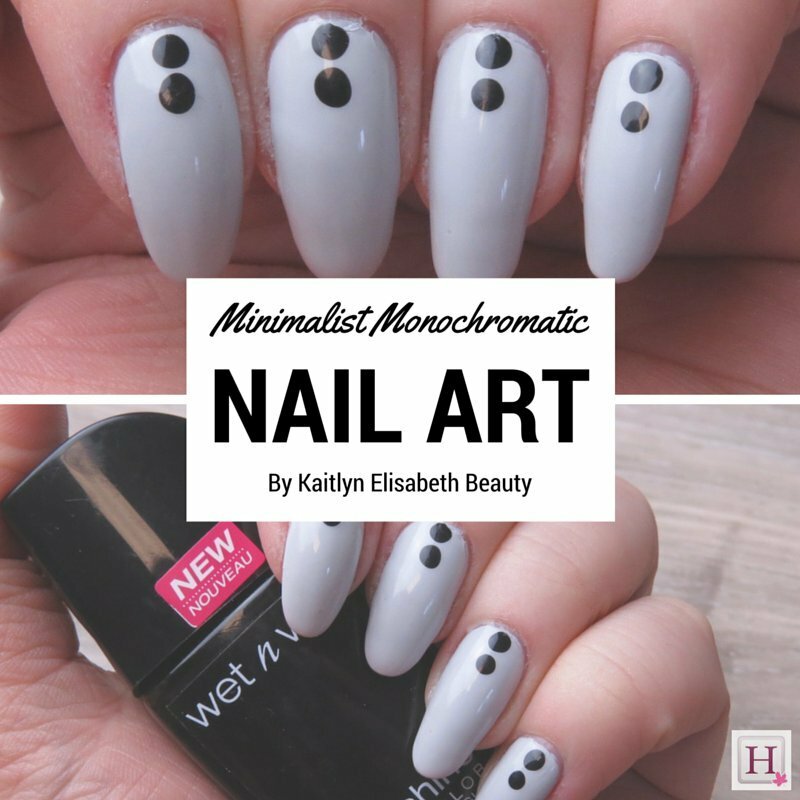 You can find all of her Mani Monday designs and more on her blog, Kaitlyn Elisabeth Beauty. Check out her new YouTube channel as well.